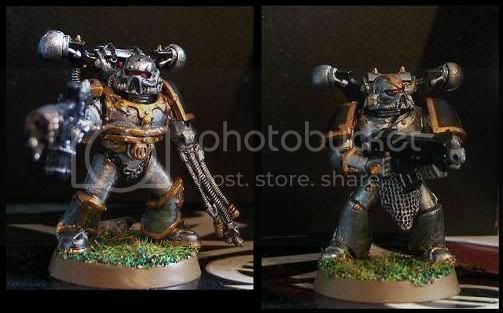 After messing around with Chaos bits and pieces for years I eventually turned my attentions to changing stuff on their helmets. A few years ago this resulted in the Cyclops helmet, something I'm guessing was inspired by watching Battlestar Galactic when I was young. 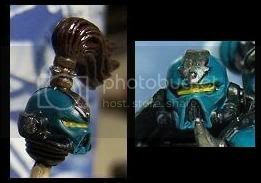 But back to the present, I was doing some test minis for another project when I was asked how I made those helmets. So it seemed a good time for another mini-tutorial. So time for a quick and easy way to add some variation to your power armoured heroes and villains in the form of the cyclops pattern helmet. Had a bit of free time so I put together some new examples as well. 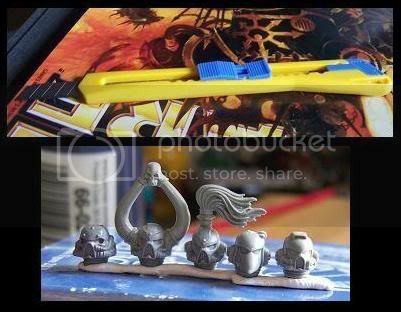 All you need for this is a bunch of helmets, a thin sharp hobbying knife and some imagination. Well grab that knife and those heads and start by the obligatory removal of moldlines. After that just pick a head or plan a bit if you're ging for a specific effect. 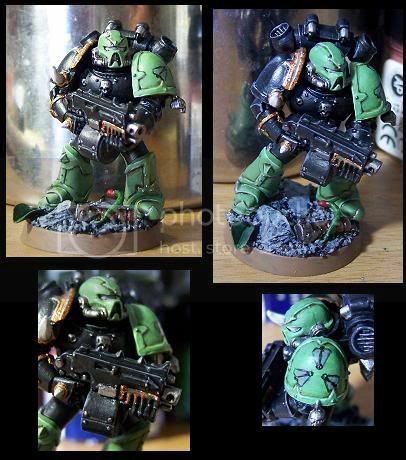 As you may have noticed most SM and CSM helmets have their eyes placed on the same horizontal line. Usually with a small indent in the middle or some ending in a small sharp point which is most often the case with SM heads. 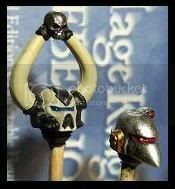 The idea here is very simple, take the hobby knife and cut a line in the top section of the armour between the eyes. Take care here to cut on that horizontal line I just talked about and of course not to cut to deep. Now comes the annoying part; getting the cyclops helmet to look decent. You now have a nice shallow cut and using your thin knifeblade you slowly scrape/shave out the armour section. It is better to do this with minimal corrections instead of risking a catastrophical helmet destruction, we alreaqdy have AP3 weapons for that. So it is better to make shallow cuts and corrections instead of butchering the poor helmet. 1. 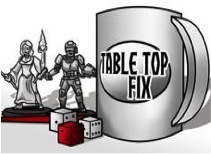 Simply to add some variation, this can be very needed if you've been playing around with Chaos bits and pieces as long as me. Thanks for sharing. Great blog. 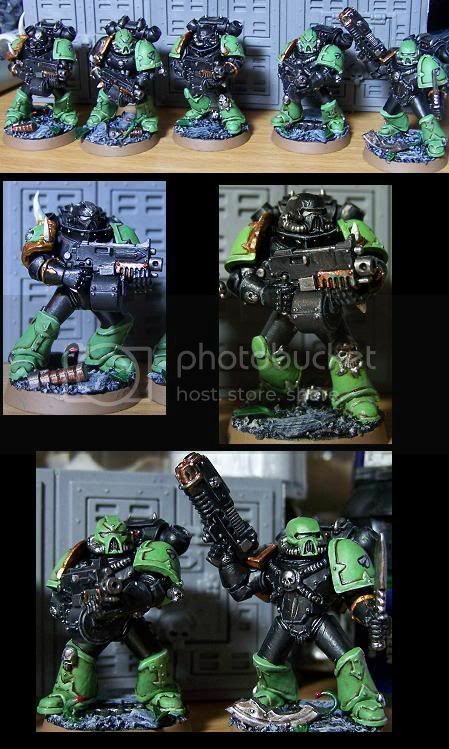 Which Green did you use for thr Purge marines? I tried mxiing my own but it came out far too pale. I love the cyclops pattern helmets! I'm going to have to use that idea!! Just brilliant!